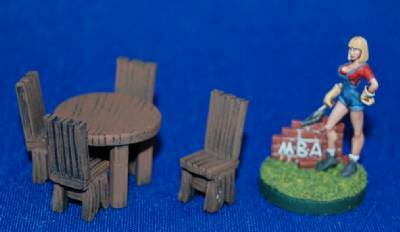 25mm/28mm scale - table and chair are UNPAINTED. Comes with one round table and four chairs. Figure is not included.